Nick Fury is one of those characters who has been in the Marvel Cinematic Universe as long as Tony Stark invented his Iron Man armor. Fury has been in a total of seven Marvel movies even if he just had a cameo or two in some of them. As I said earlier, #NickFury is the culmination of everything the Marvel Cinematic Universe has stood for. Fury was the one to go out and risk life and limb to get this team together. Though initially everyone fought for themselves, Fury was able to create this team of superheroes to take down an alien threat in the first #Avengers film. He’s the reason the Avengers came together in the first place and was the only person to help create the Avengers Initiative. The Avengers are literally torn apart. The aftermath of #CaptainAmericaCivilWar showed us that the Avengers are no more. These Avengers have in a way disassembled and need someone to once again rally the trooper. Nick Fury would certainly be that person. With Thanos and his Black Order looming closer and closer to Earth, these heroes are going to need to once again work together. They will need someone to tell them to put aside their differences and to forget about what happened in the past. Fury needs to be that guy. As I stated earlier, Nick Fury was the one who jump started the Avengers Initiative. Unfortunately for him and his team, it only lasted for a few years before they were ripped apart. The teams have since grown then and the number of heroes have climbed severely which makes it all the more challenging. It took some convincing to fulfill what he set out to do and that was to form a team of superheroes to take down the greater threats. At one point, Fury accomplished his mission but now needs to do it once again. The stakes are even higher this time around since the events of #CivilWar. Fury has a tall task ahead of him, but if there’s one man that could rally the troops up once again, it’s Nick Fury. He needs to come out on top or his hard work will be all for naught. Let’s just hope we see him much earlier than his confirmed role in Captain Marvel. But what do you all think? 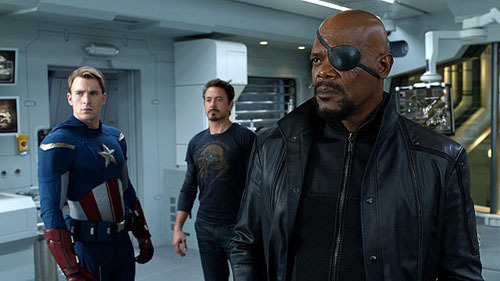 Do you believe Nick Fury should be in Avengers 3 and 4? Jump down into the comment section and leave your thoughts below!